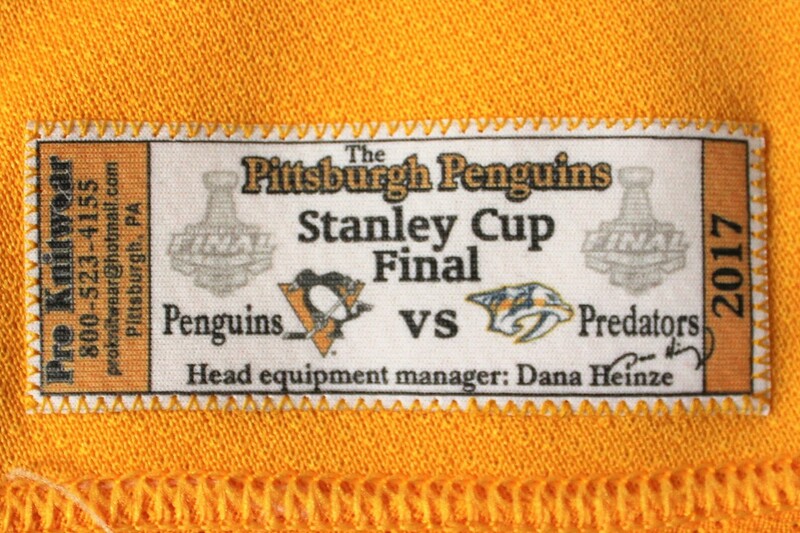 worn during the 2017 stanley cup final as maatta assisted on phil kessel's goal in game 5 and for 58:42 of ice time over three games. 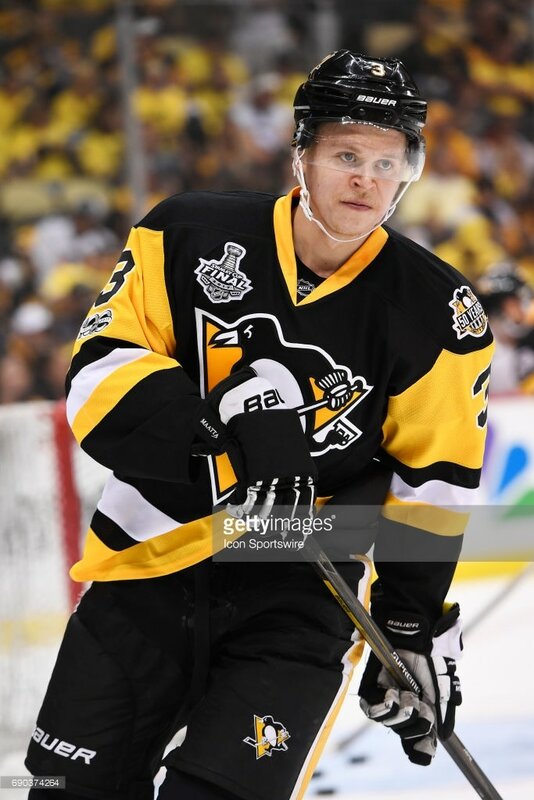 Drafted in the first round of the 2012 NHL Entry Draft by the Pittsburgh Penguins, Olli Maatta finished fifth in the voting for the Calder Memorial Trophy (National Hockey League Rookie of the Year) in 2013-14. 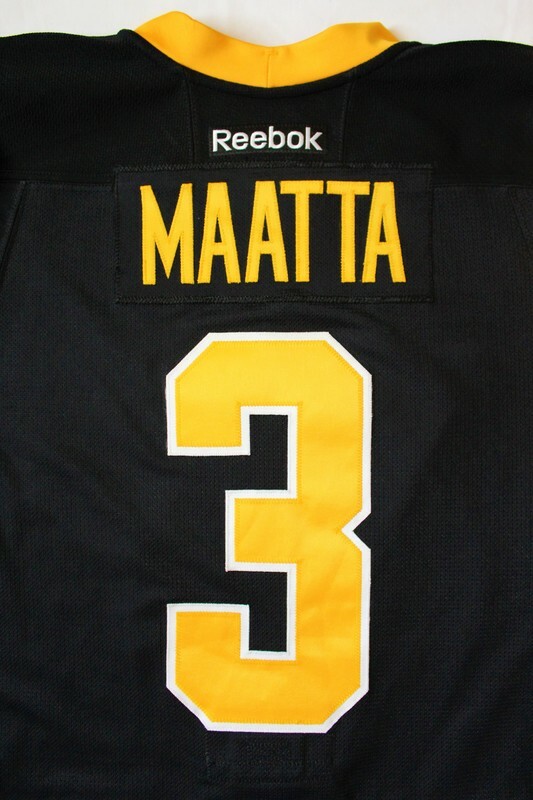 Maatta scored nine goals and 20 assists in 79 games during his first pro season. 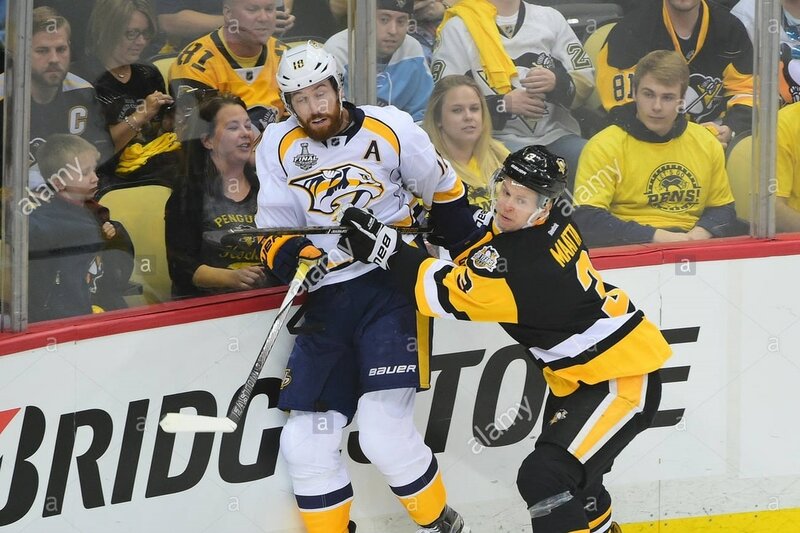 He has been a stalwart on the Pittsburgh blue line for four straight seasons. 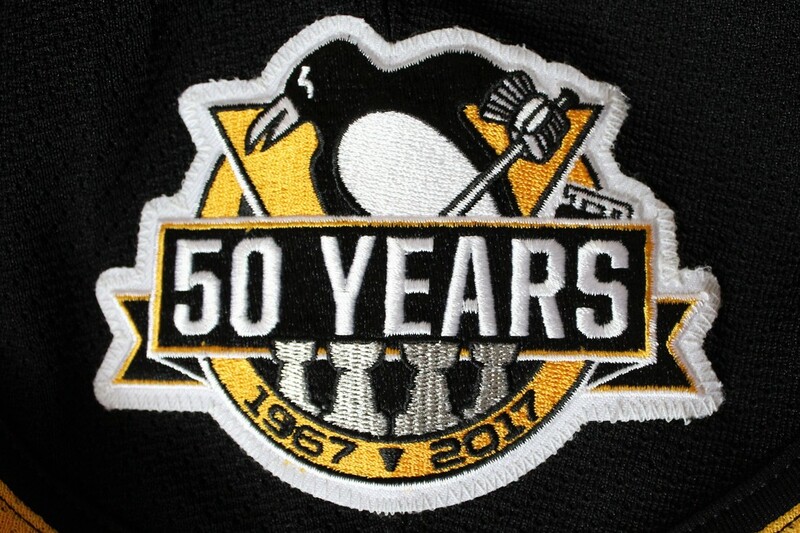 In 2016-17, Maatta scored one goal and added six assists in 55 regular season games. 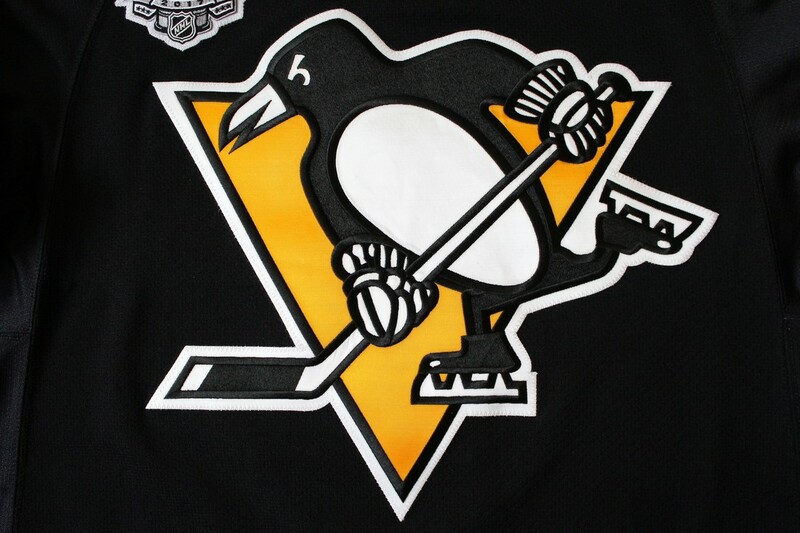 His +17 +/- rating was tied for fifth on the team with Captain Sidney Crosby. 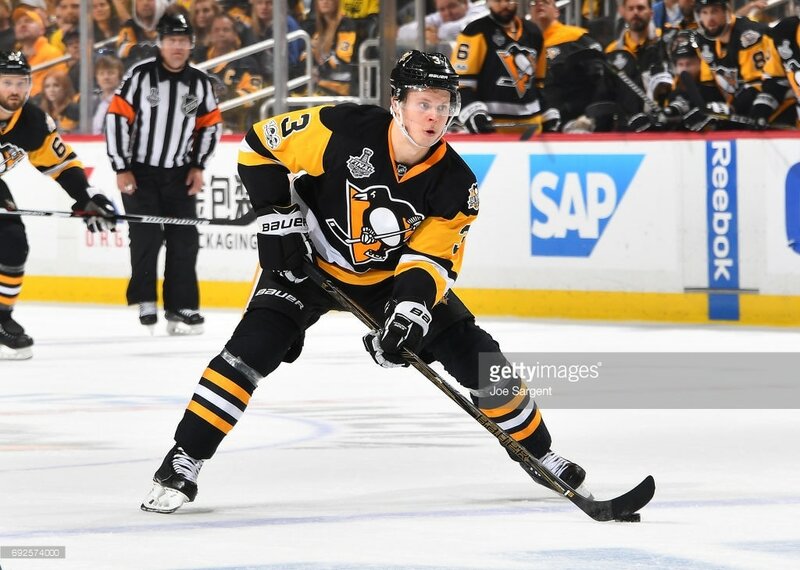 In the 2017 Stanley Cup Playoffs, Maatta played in all 25 games and had two goals along with six assists and a +8 +/- rating. 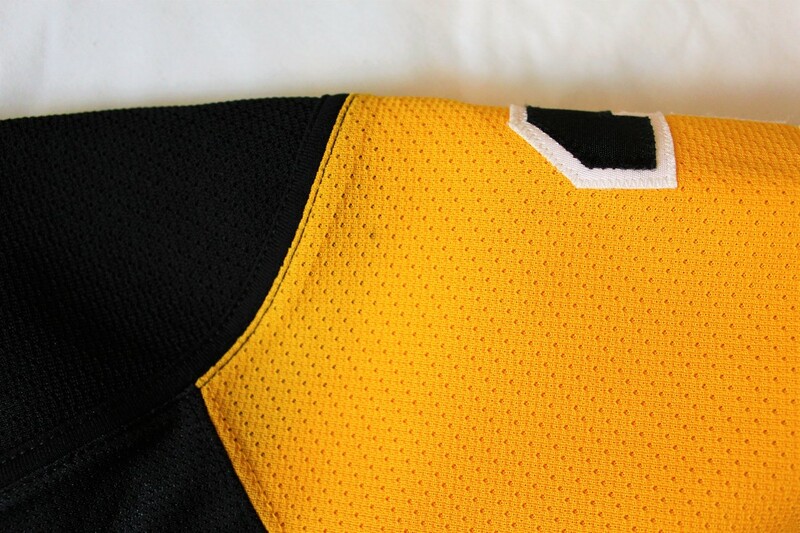 His eight points in the Playoffs ranked eight on the team. 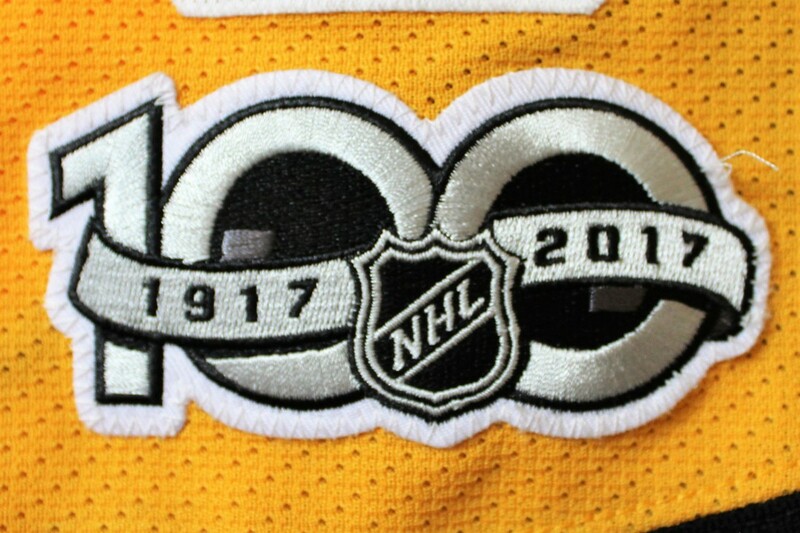 He scored the team's opening goals in back-to-back games (Games 4 & 5) of the Eastern Conference Finals against Ottawa. 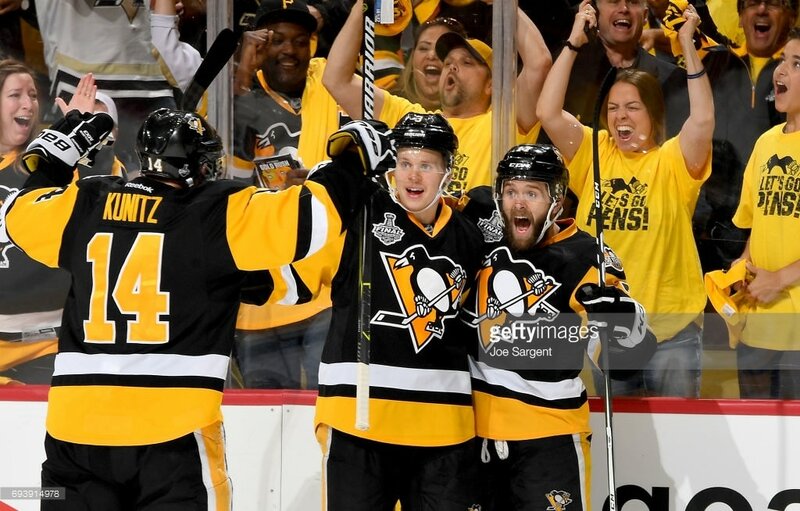 In Game 4, Maatta scored with 46 seconds left in the first period to give the Penguins a 1-0 lead heading into the first intermission. 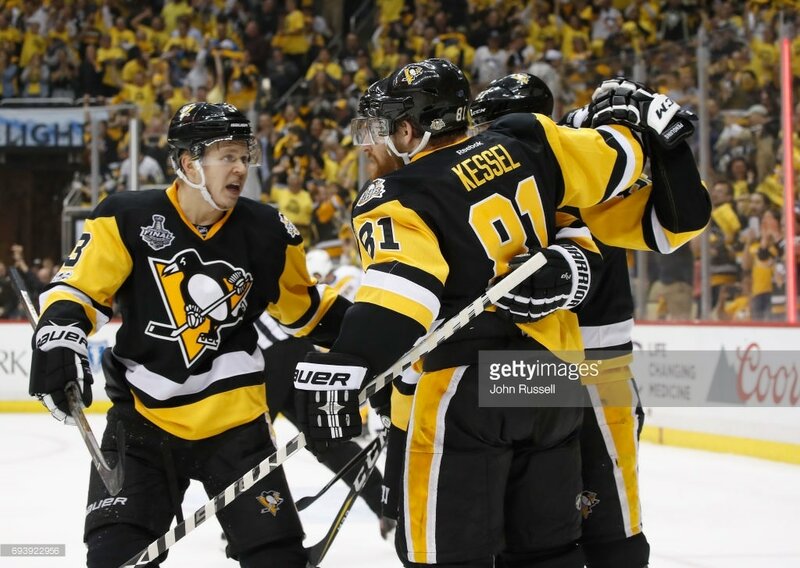 In Game 5, his game-winning goal 8:14 into the first period on a one-time blast from above the left circle started a scoring barrage en route to a 7-0 Penguins win and 3-2 series lead. 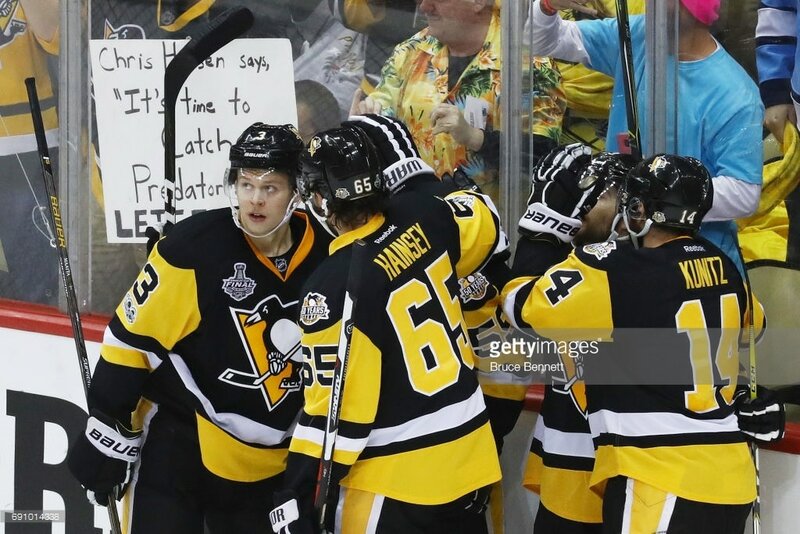 In Game 1 of the 2017 Stanley Cup Final, Maatta logged the second-most time on ice of all Pittsburgh Penguins with 22:14 on 32 shifts. 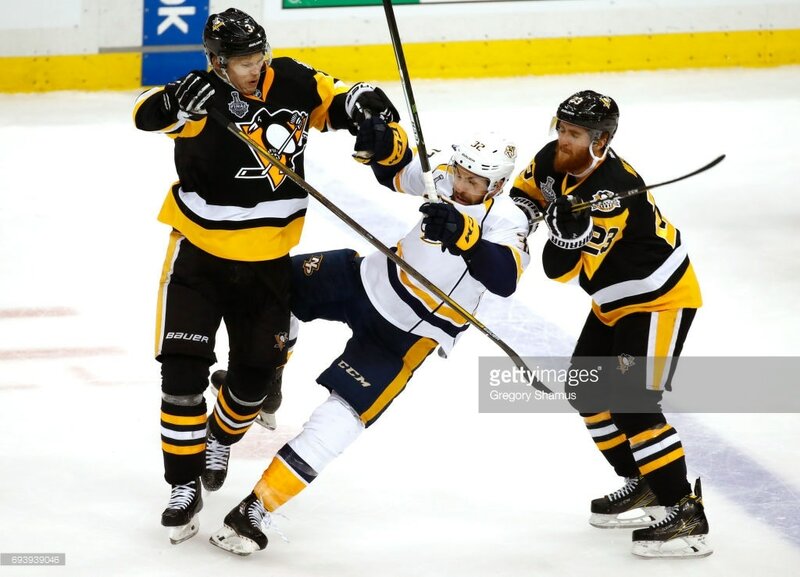 He also registered three hits which led all defensemen. 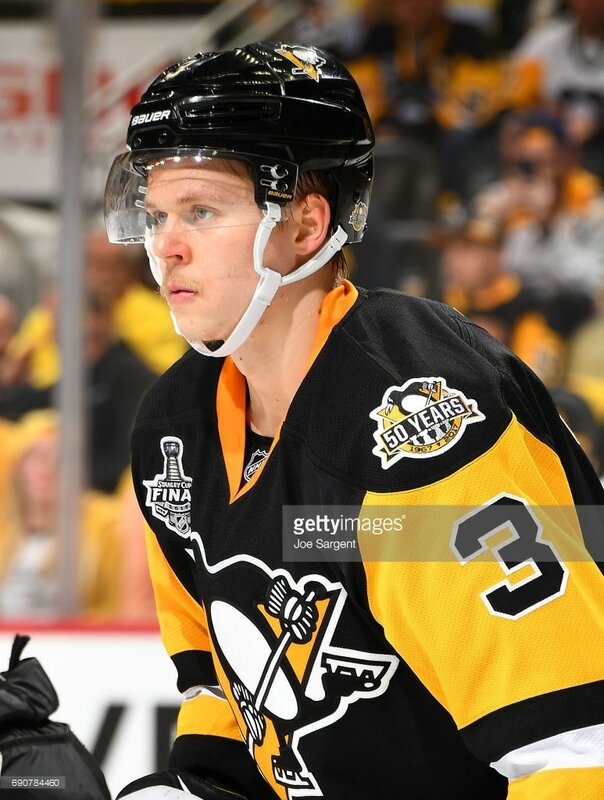 In Game 2, Maatta registered 18:44 of ice time - third most among Pittsburgh defensemen - and two shots on goal. 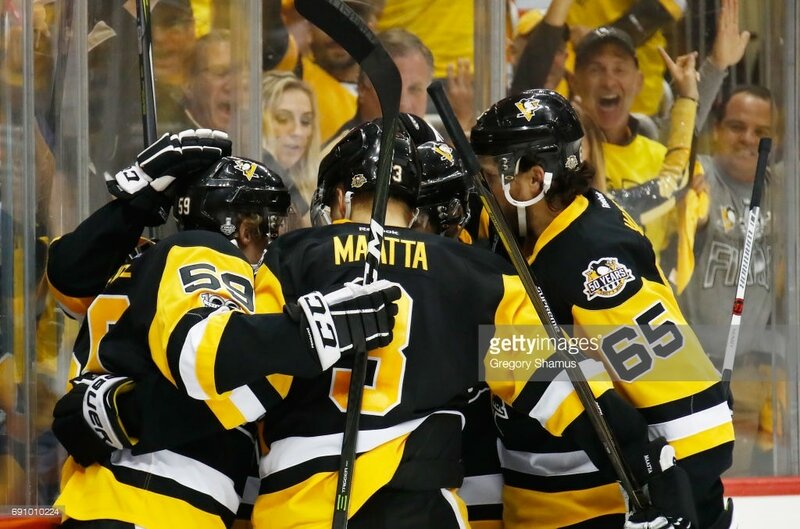 With the series tied 2-2 and back in Pittsburgh for Game 5, Maatta was a team-leading +3 with Phil Kessel and assisted on Kessel's second period goal which gave the Penguins a 5-0 lead. 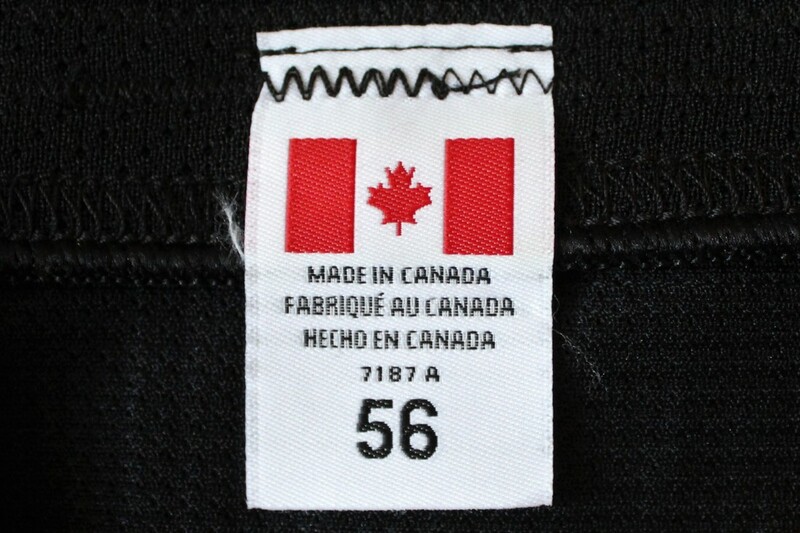 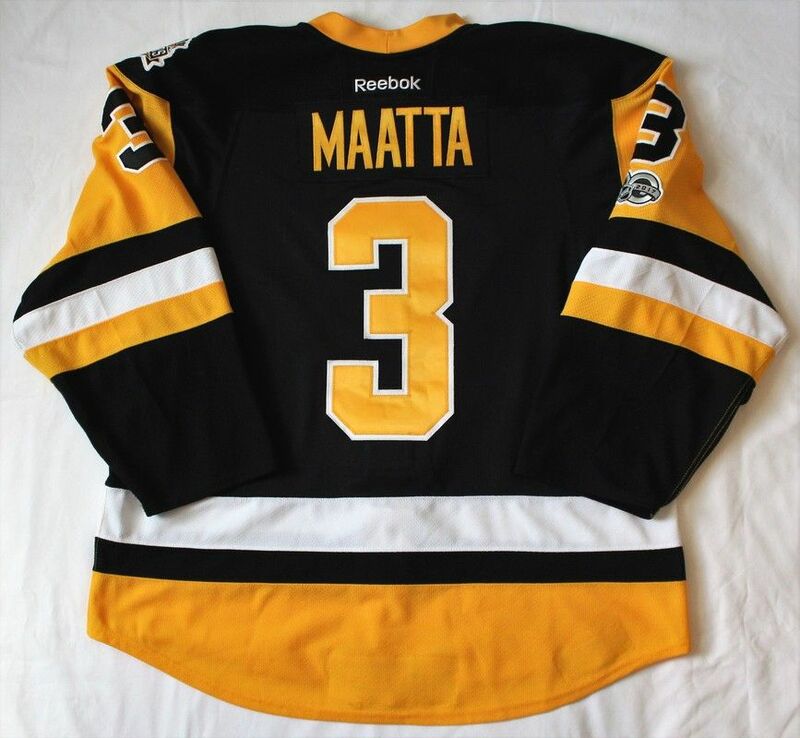 This jersey was worn by Penguins defenseman Olli Maatta in Games 1, 2 and 5 of the 2017 Stanley Cup Final vs. Nashville. 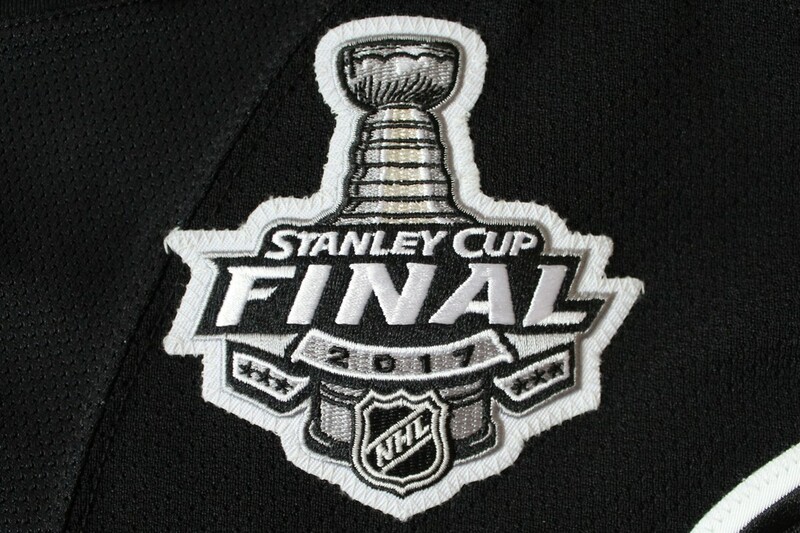 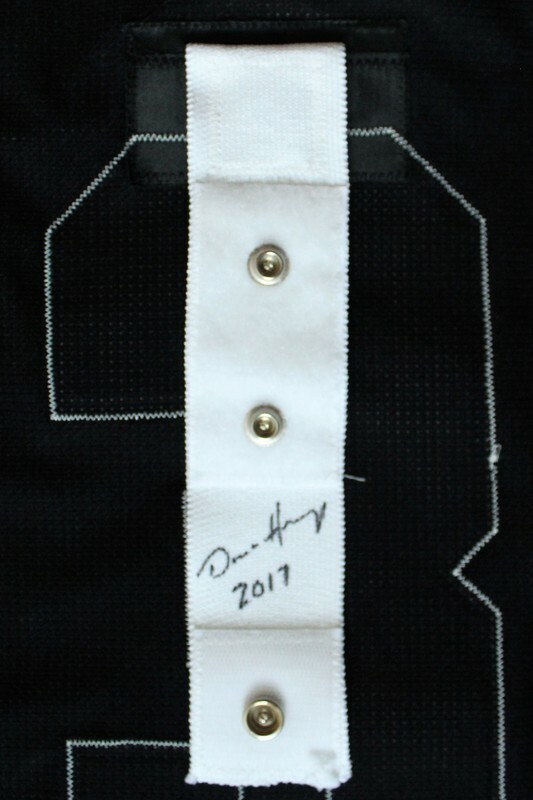 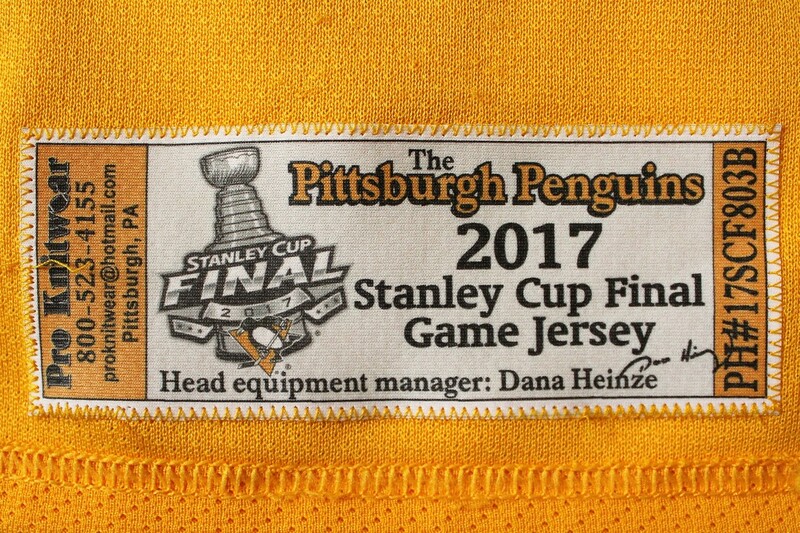 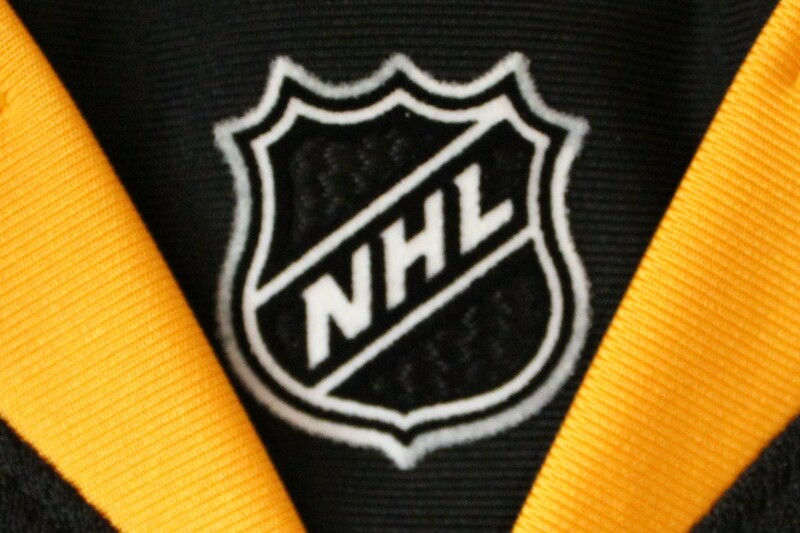 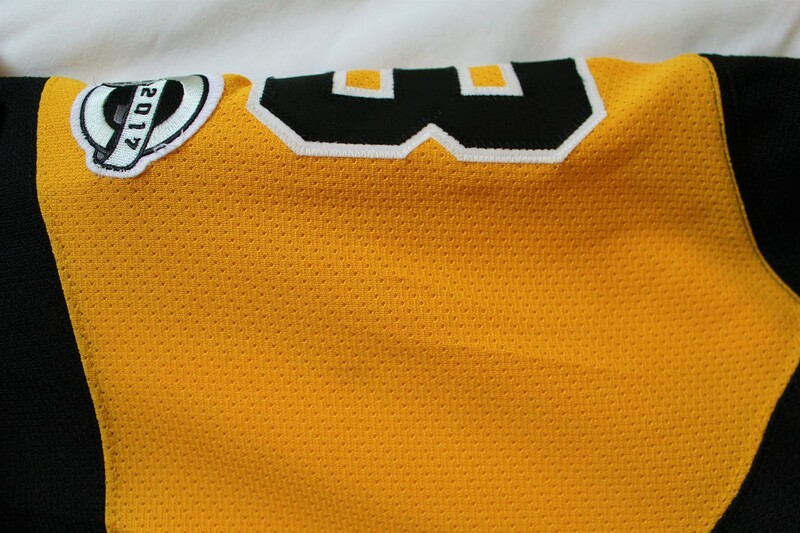 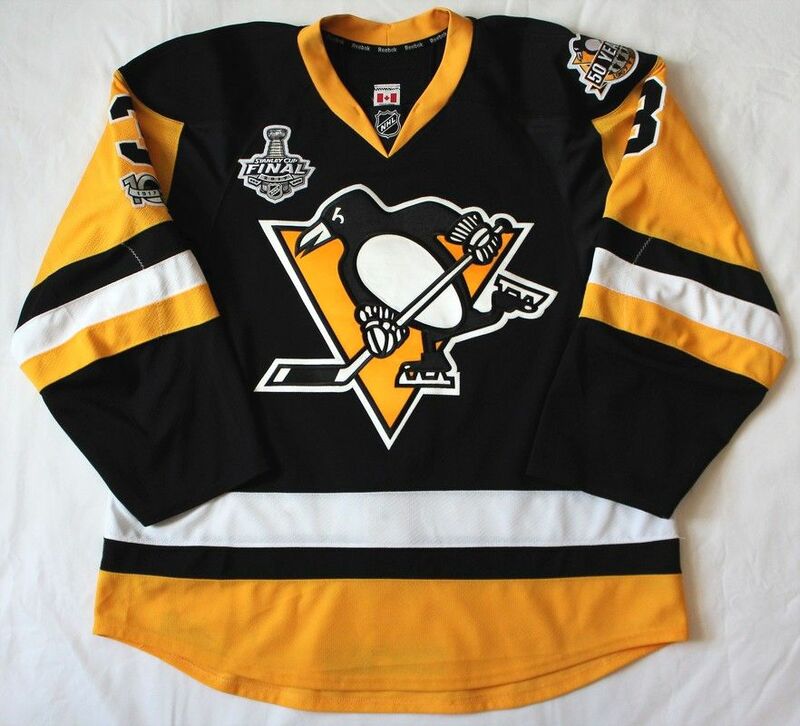 The jersey was acquired by PenguinsChronicles.com from J&J Distributing on June 24, 2017 who purchased the entire set of 2016 Stanley Cup Final jerseys directly from the Pittsburgh Penguins on June 23, 2017. 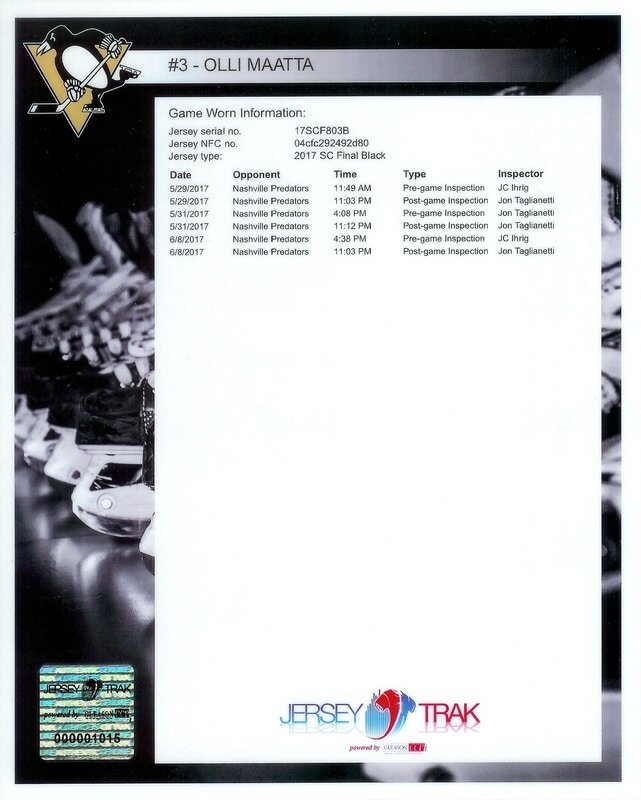 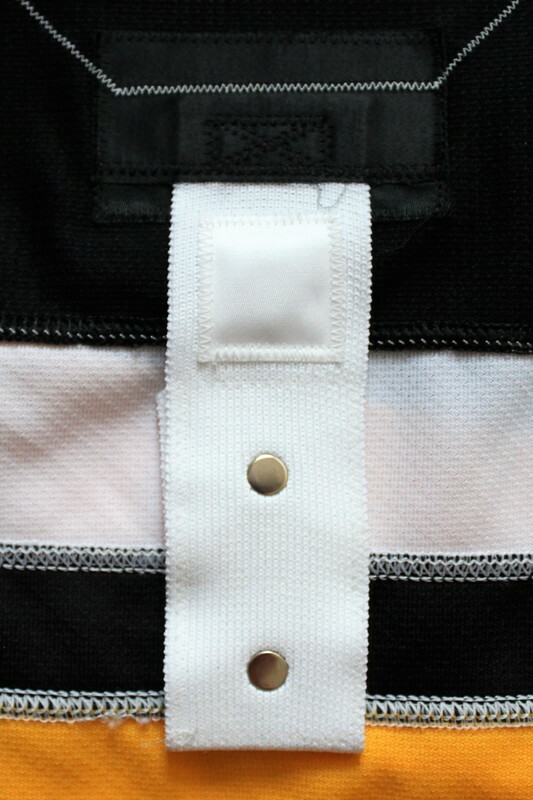 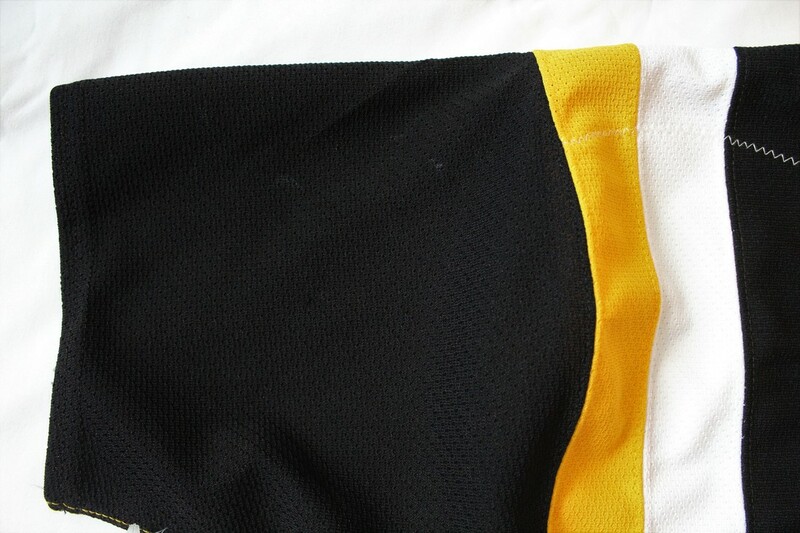 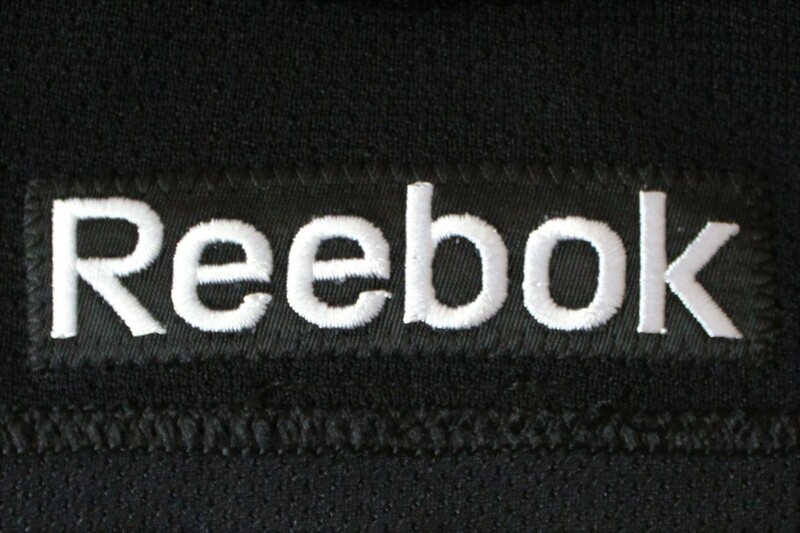 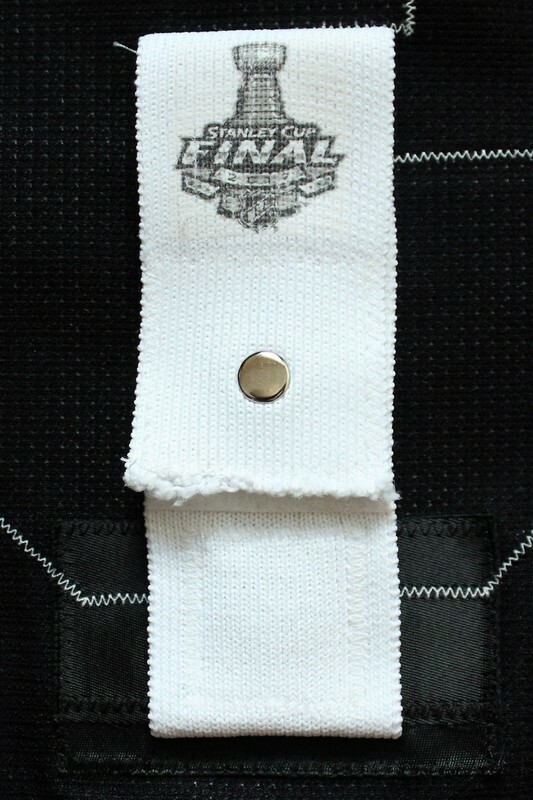 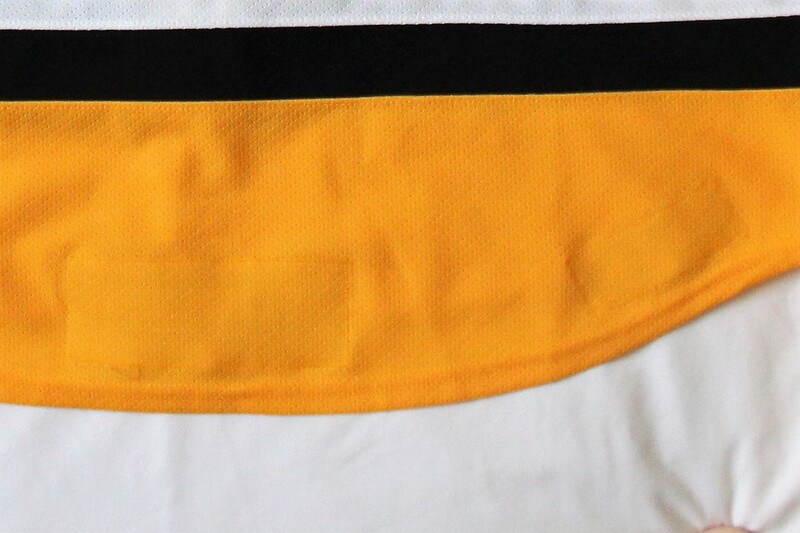 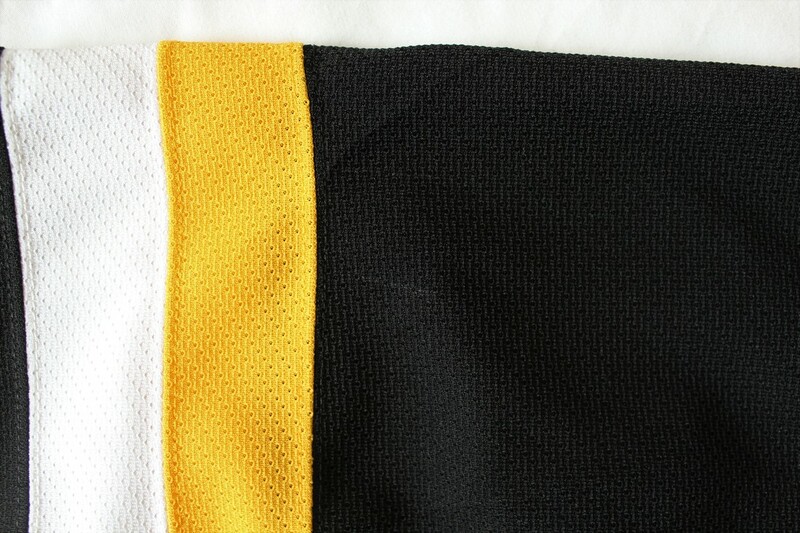 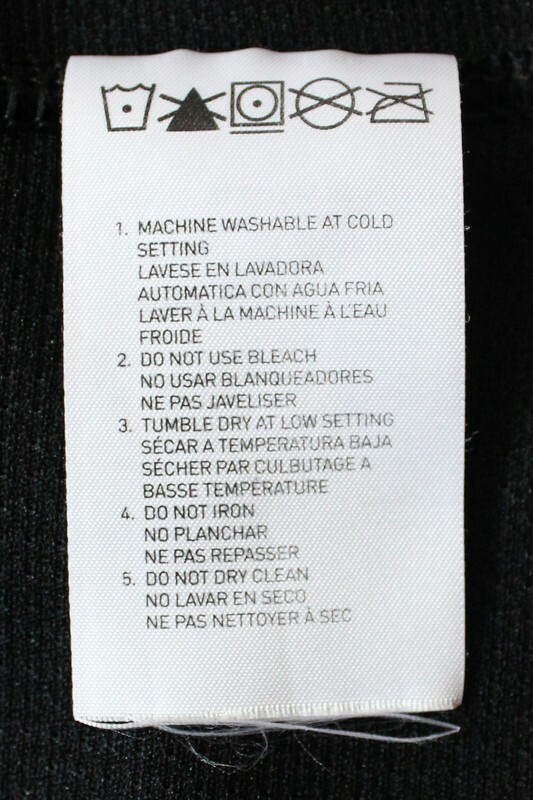 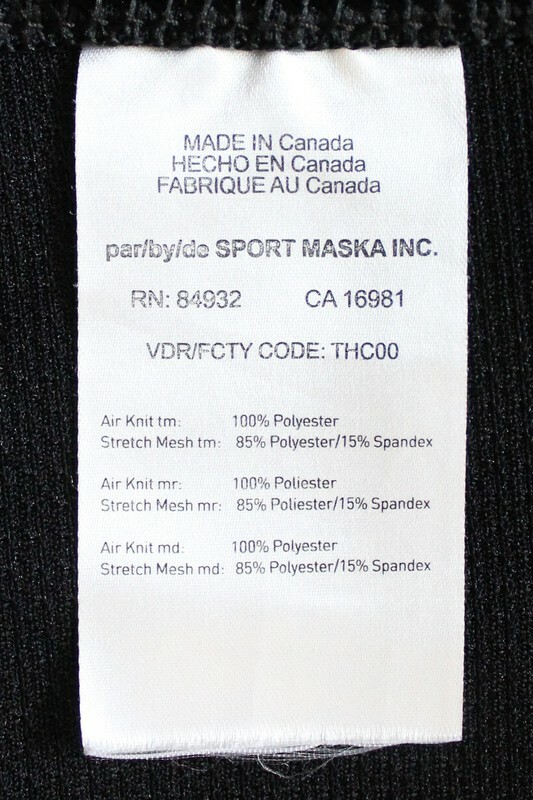 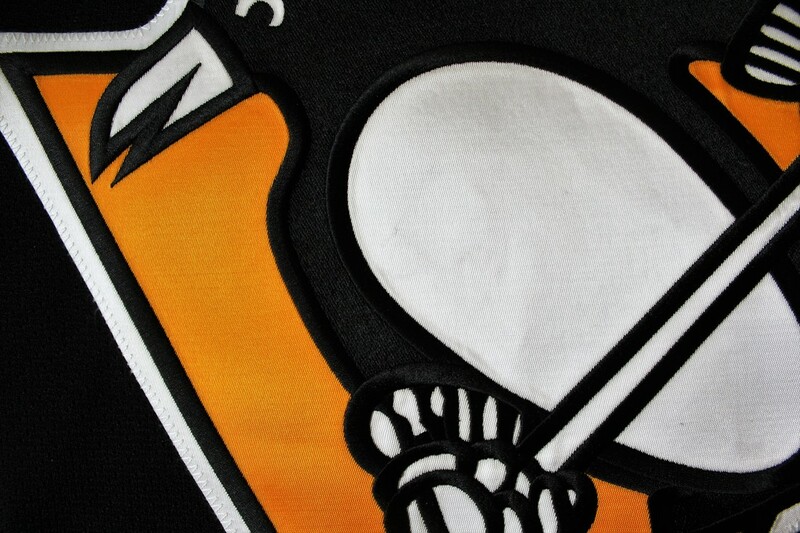 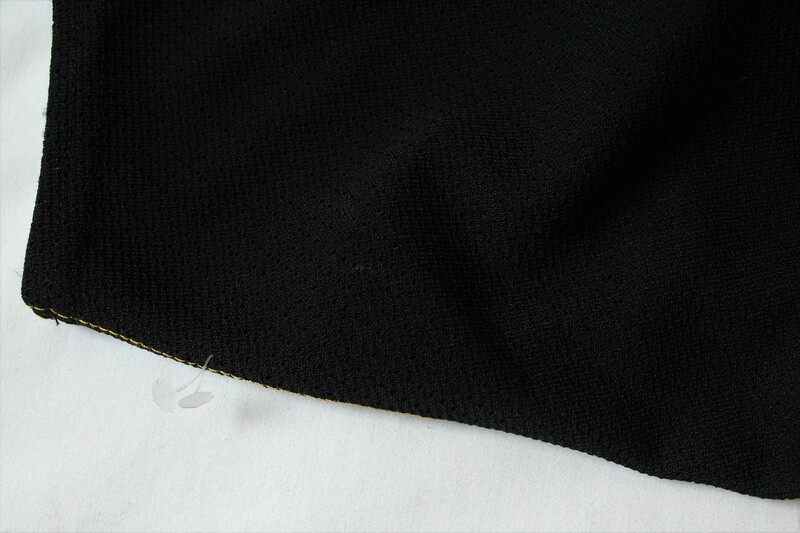 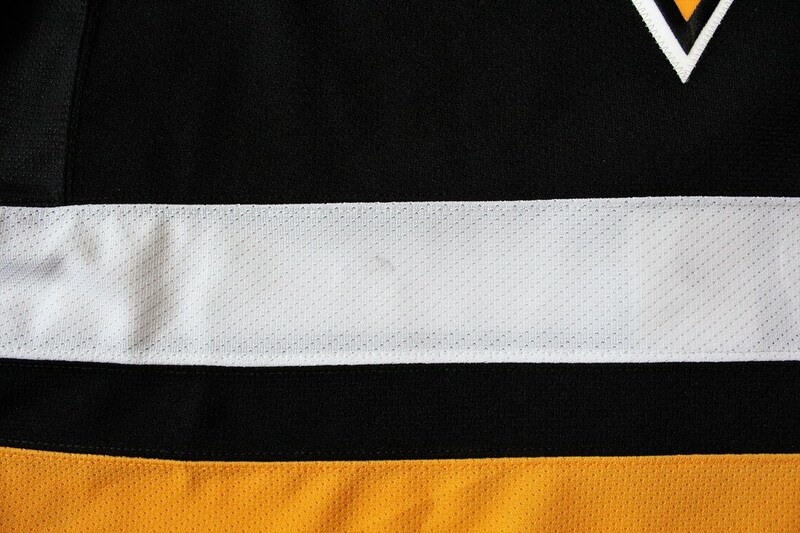 The jersey features JerseyTRAK technology from Gleason Technology inside the base of the fight strap which allows the Penguins equipment staff to scan each jersey before and after the game in which it is used. 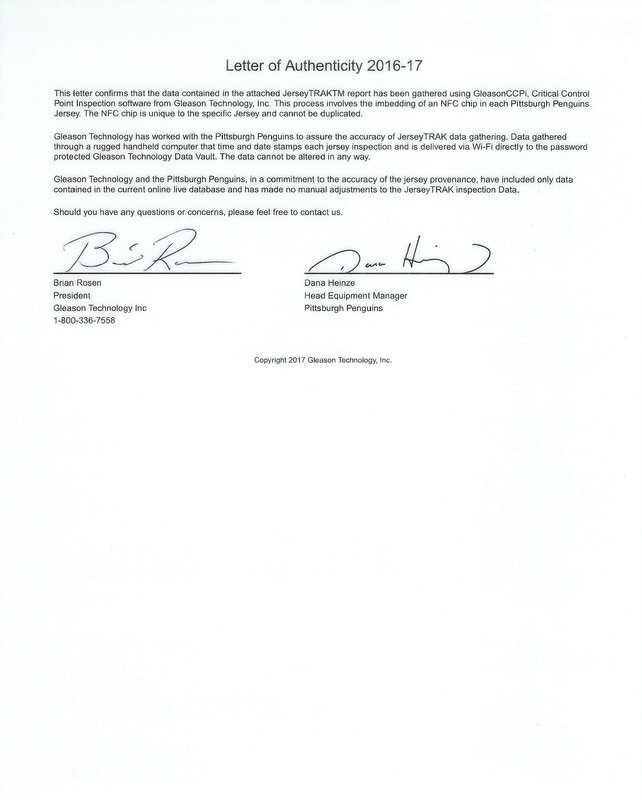 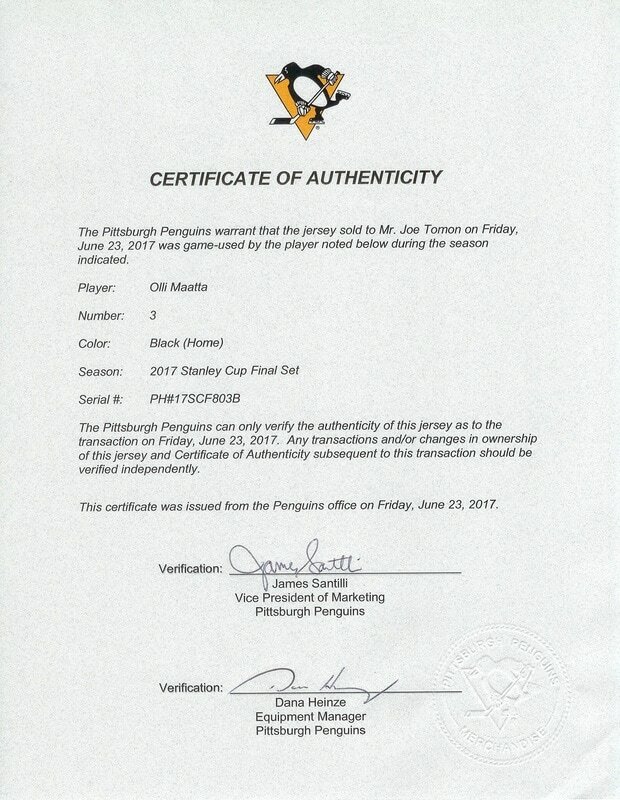 The jersey comes with a Certificate of Authenticity from the Pittsburgh Penguins and Letter of Authenticity from Gleason Technology, Inc.